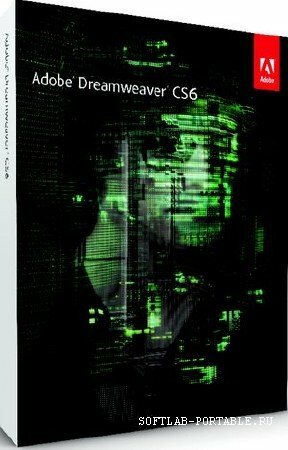 Adobe Dreamweaver CC 19.0.1 Portable » SoftLab - портал portable-софта! Adobe Dreamweaver CS6 web design software provides an intuitive visual interface for making and editing HTML websites and mobile apps. Use new Fluid Grid Layout designed for cross-platform compatibility to create adaptive layouts. Review designs with the enhanced Multiscreen Preview before publishing. Upgrade to Dreamweaver CS6 to efficiently create and test cross-platform, cross-browser HTML5 content using the updated Live View and Multiscreen Preview panels. Build better mobile apps with enhanced jQuery and PhoneGap support, and save time uploading large files with the reengineered, multithreaded FTP transfer tool.